Does anything still need to be said about Charles Darwin, two hundred years after his birth and a hundred and fifty years after the publication of his world-changing book, On the Origin of Species? There does not seem to be any danger of the world forgetting who Darwin was, or how his theory of evolution by natural selection permanently altered our understanding of the history of life and our place in it. Many of us even carry miniature reproductions of the great evolutionist around with us in our pockets: an iconic image of Darwin, looking like a cross between Socrates and Moses, is printed on the reverse of every ten pound note. Darwin has not been forgotten. But he has, in some respects, been misremembered. That has certainly been true when it comes to the relationship between his theory and religion. Recent years have witnessed a resurgence of enthusiasm for the idea of a conflict between Darwin and God. Battle has been joined with equal vigour by scientific atheists and religious fundamentalists. To imagine, however, that skirmishes between Richard Dawkins and religious anti-Darwinists are just the latest phase of an age-old warfare between science and religion would be a mistake. Creationism, and its most recent variation, ‘Intelligent Design’, are not a throw-back to the Middle Ages, nor are they evidence of some general and timeless antagonism between faith and reason. Rather, they are the products of a particular place and a particular time: the United States of America since the end of the Second World War. But before we examine the peculiarly American religious response to Darwin in more detail, let us return briefly to 1859. Charles Darwin himself hated religious controversy. Apart from anything else, it exacerbated his chronic bowel problems. At a more cerebral level, it shed little light on the scientific questions that most fascinated him. He was driven by a passion for understanding beetles and barnacles, not the Bible. His wife’s religious beliefs also had to be handled gently: the issue of her faith and his doubts was a sensitive one throughout their marriage. Religious controversy would also, Darwin knew, be inimical to the acceptance of his ideas within the scientific establishment. For all these reasons, he did his utmost, when he published On the Origin of Species, to present his theory of evolution as an idea that was compatible with belief in God. We can, thanks to the labours of a group of Darwin scholars at Cambridge University who have made Darwin’s complete works available online, try to recreate the experience of Victorian readers as they opened On the Origin of Species for the first time. Having admired the gold lettering on the dark green cloth cover of the book, and turned passed the title page, the first words we read are two epigraphs about God. One is a statement by the Anglican clergyman and philosopher William Whewell, to the effect that God does not act by constant miracles but ‘by the establishment of general laws’. The second is an aphorism from the seventeenth-century philosopher and scientific pioneer, Francis Bacon, suggesting that true understanding must be sought both in the book of God’s word and in the book of God’s works: in both scripture and nature. At the foot of the page are the words: ‘Down, Bromley, Kent, October 1st, 1859.’ Down House was Darwin’s home, a rural retreat where he conducted experiments and constructed theories over a period of forty years. The message from Bromley was clear. This book, the work of a respectable gentleman naturalist, was not a manifesto for atheism. Darwin had read the book of nature and found God therein, acting through the laws of variation and natural selection. Turning to the closing pages of the Origin of Species, we find the same message restated. Darwin wrote that ‘it accords better with what we know of the laws impressed on matter by the Creator, that the production and extinction of the past and present inhabitants of the world should have been due to secondary causes… When I view all beings not as special creations, but as the lineal descendants of some few beings which lived long before the first bed of the Silurian system was deposited, they seem to me to become ennobled.’ In the famous final sentence of the book, Darwin concluded: ‘There is grandeur in this view of life, with its several powers, having been originally breathed into a few forms or into one; and that, whilst this planet has gone cycling on according to the fixed law of gravity, from so simple a beginning endless forms most beautiful and most wonderful have been, and are being, evolved.’ From the second edition of 1860 onwards, Darwin altered the phrase ‘breathed into a few forms or into one’ to ‘breathed by the Creator into a few forms or into one’. God was there on the first page of the Origin, and also on the last. Whatever Darwin’s own doubts, by 1882 most believers seemed to have got over the initial shock of his theories. Although there were plenty of religious worries about evolution, and a famous spat between Darwin’s friend Thomas Huxley and the Bishop of Oxford in 1860, by the time Darwin died, his theory had been accepted by the scientific establishment and was well on the way to being accepted by the Church too. Darwin was granted the honour of a funeral in Westminster Abbey, and the sermon by the reverend Frederick Farrar assured the assembled dignitaries that Darwin’s theory posed no threat to belief in God. Farrar took as his text a passage from the Bible describing the wisdom of Solomon, which he applied to Darwin: ‘He spake of trees, from the cedar-tree that is in Lebanon even unto the hyssop that springeth out of the wall: he spake also of beasts, and of fowl, and of creeping things, and of fishes.’ The work of this great man of science, Farrar said, had enabled people to read ‘many hitherto undeciphered lines in God’s great epic of the universe’. Religious believers seemed to have come to terms with Darwinism by the end of the nineteenth century. Why, then, do opinion polls in modern America routinely find that about half of the population deny the truth of Darwin’s theory and believe, instead, that human beings were created supernaturally by God at some point within the last few thousand years? The answer to that question lies in the unique political and constitutional history of the United States. Creationism became a popular movement there thanks to a particular historic religious culture, in combination with changing interpretations of the First Amendment to the US Constitution. Many of the European settlers who arrived in North America in the seventeenth and eighteenth centuries were fleeing religious persecution. Prominent among these were non-conformist Protestants, whose Christian faith, unlike that of the Anglican and Roman Catholic churches, gave primacy to the relationship of the individual believer with God, and to the reading of the Bible. The intense faith of these Puritans, Congregationalists, Quakers, Methodists, and Baptists gave the British colonies in America, which after 1776 became the United States of America, a distinctive religious culture. The most significant political doctrine that arose from this culture was the need for a strict separation between Church and state. In a country with so many various and passionately committed religious groupings, it was imperative that the state was not seen to support one over the others. The idea of a national or established Church was anathema to the Founding Fathers. It was for this reason that the First Amendment to the US Constitution forbade Congress from passing any law ‘respecting an establishment of religion.’ The First Amendment, which Thomas Jefferson hoped would build a ‘wall of separation between Church and state’, was not intended to create a secular country – far from it – but rather to prevent the state from favouring any one religion over another. Although some individual states initially had their own established churches, the last of these (the Congregationalist Church of Massachusetts) was disestablished in 1833. By the beginning of the twentieth century the doctrine of the separation of Church and state had also led to religious instruction being banned from publicly funded schools in many states. Again, the motivation was to prevent one denomination imposing its version of Christianity on others, not to produce religiously ignorant children. It was believed that religious instruction would take place at home and at Sunday school. It was this distinctively American attempt to solve the problem of inter-denominational religious strife that led directly to the confrontation between Darwinism and creationism in the later twentieth century. The first sign of trouble came in 1925 in the small town of Dayton, Tennessee. Tennessee was one of several states to pass a law banning the teaching of evolution in their public schools in the 1920s. A local schoolteacher, John Scopes, volunteered to take part in a test case that the American Civil Liberties Union hoped would result in anti-evolution laws being declared unconstitutional. But that was not quite what happened. What did take place was an internationally reported bonanza of evolutionary and religious debate in Dayton during the summer of 1925. The sensational ‘Monkey Trial’, the first to be broadcast on national radio, also provided a platform for one of the most famous politicians of the day, William Jennings Bryan, who came to Dayton to lead the prosecution case against Scopes. Bryan had run three times for President as the Democratic Party candidate. On each occasion he was unsuccessful, but he became known as ‘the Great Commoner’ as a result of his determination to speak for the normal working people of America. In the case of the Scopes trial, Bryan spoke as the leader of the Christian ‘fundamentalist’ movement, which had come into existence in the wake of the First World War, to protect America’s Christian culture from erosion by the forces of modernism. What Bryan and his supporters objected to was not the fact that science was taught in the public schools, but that a view widely perceived as materialistic and anti-religious could be taught in the very same classrooms from which all religious instruction had been banned. American parents in the 1920s objected to their children returning from school talking like ‘little atheists’ about the animal ancestry of humanity, but without any knowledge of the fundamentals of Christianity. The fundamentalists won at Dayton in 1925. Scopes was duly convicted and, although the conviction was later overturned on a technicality, the anti-evolution law remained on the statute book. Evolution was quietly dropped from most American science curricula, and the debate about Darwinism receded into the background for a time. But when it re-emerged it did so with renewed vigour and acrimony. By the 1960s, the situation had become more polarised. The representatives of traditional biblical faith felt under attack. The Supreme Court had ruled in 1947 that the First Amendment separation of church and state applied to individual state governments as well as to Congress. This meant that wherever biblical instruction had persisted in public schools, it now had to be removed. It also led to the banning of such things as public prayers in schools, or the posting of the Ten Commandments on classroom walls. At the same time, the surprise success of the Russian space programme, with the first Sputnik mission being launched in 1957, led to a national panic over American scientific standards from school level upwards. The post-Scopes settlement could no longer be tolerated. The American courts started to look again at anti-evolution laws that had been put on state statute books in the Scopes era. In 1968 a case brought by a young Arkansas biology teacher, Susan Epperson, finally made its way to the Supreme Court. The Court ruled in favour of Epperson and against the Arkansas law, declaring that it was in violation of the First Amendment because ‘fundamentalist sectarian conviction was and is the law’s reason for existence’. The route from these developments in the 1960s and 1970s to recent debates about ‘Intelligent Design’ is a very direct one. If the allegedly anti-Christian theory of Darwinian evolution was going to be taught in public schools, then the fundamentalists were determined they would find a way to get religious instruction into the classroom too. This was a difficult challenge. The whole basis of the problem was the fact that such instruction was no longer allowed. And it was to this problem that ‘Scientific Creationism’ and ‘Intelligent Design’ were the answers. These were both attempts to dress God up in scientific clothing. Initially, state legislators sympathetic to creationism mandated that there should be equal time devoted in science classes to ‘evolution science’ on the one hand and the alternative theory of ‘creation science’ on the other. The latter did not mention the Bible, but asserted a separate ancestry for man and apes, a ‘relatively recent inception of the earth and living kinds’, and an explanation of geology by ‘catastrophism, including a worldwide flood’. Laws such as these were passed by various states in the 1970s and 1980s. But they did not survive long. The Supreme Court ruled in 1987 that the purpose of such laws was to ‘advance the religious viewpoint that a supernatural being created humankind’ and that they therefore contravened the First Amendment. The idea of ‘Intelligent Design’, dreamed up by a lawyer, Phillip E. Johnson, and a biochemist, Michael Behe, in the 1990s, was the latest answer to the problem of how to get God back into the American classroom. The theory of ‘Intelligent Design’ states that some complex biochemical structures must have been intelligently designed because they could not have evolved by variation and natural selection alone. Like ‘Scientific Creationism’, this has been presented as an alternative theory to Darwinism which should be taught alongside evolution in science classes in a ‘balanced’ way. But it did not take the courts long to see through this. In a landmark case in Pennsylvania in 2005, Judge John E. Jones ruled that the Dover Area School Board’s policy of requiring biology teachers to read out a statement about ‘Intelligent Design’ in a science class was religiously motivated, and thus in breach of the First Amendment. The original decision of the board to adopt this policy, Jones commented, showed ‘breathtaking inanity’. In the school board elections in Dover, Pennsylvania that took place in the wake of Jones’s ruling, all eight members of the board who had adopted the controversial policy were defeated. This provides an interesting echo of a comment made eighty years earlier by the tub-thumping fundamentalist Democrat, William Jennings Bryan. He had seen that the central question at issue in the Scopes trial was not the relationship between science and religion but rather, ‘Who shall control our public schools?’ Bryan’s answer was that it should not be an unaccountable intellectual elite, but rather the taxpayers themselves. If people wished their children to be taught the Bible in school, Bryan argued, then that is what they should be taught. He went on to predict that ‘school board elections may become the most important elections held, for parents are much more interested in their children and in their children’s religion than they are in any political policies.’ Judging from the Dover case (and from the distinct lack of interest in creationism displayed either by the new President of the United States, Barack Obama, or by his defeated rival, John McCain), the democratic process, with the support of the Supreme Court, will continue to keep religiously motivated anti-Darwinism out of American science classes. In 1925, the British press reported the Scopes trial in a tone of amused detachment and superiority. The general view was that such a thing could only happen in America. What British journalists in the 1920s had in mind was the supposed cultural backwardness of some American rural communities (the evolution question had, after all, been answered in the affirmative many decades earlier in England) and also the showmanship and consumerism associated with the carnival surrounding the trial. Although this explanation might have served to reassure British readers of their intellectual superiority, the real reasons why such things only happened in America were deeper-lying historical differences. Britain possessed none of the necessary ingredients for an American-style clash between Darwinism and creationism. The problem of inter-denominational rivalry had never arisen in the same way, thanks to the supremacy of the Church of England, which ruled over religious matters through Parliament and the press with a mixture of condescension and toleration. The Anglican religion had also always been characterised by a certain rationalism and doctrinal latitude that was less prevalent among the non-conformists of America. Fundamentalist Christianity, which took off in America in the wake of the First World War, never became a popular movement in Britain. Here religion was practised by a smaller proportion of the population, and then with less fire, less intensity, and with a less literalist approach to the Bible. But the most important difference came in the sphere of education. This whole debate, after all, has always been about what should be taught in American schools. Religious instruction, far from being banned from the British classroom, was always a mandatory part of the curriculum in publicly funded schools in this country, from the establishment of the first state schools by the 1870 Education Act onwards. There was never any danger that parents here would feel that their children were not being taught about religion. In fact, the only concessions the state had to make to British parents during the twentieth century were the replacement of exclusively Christian instruction and worship in schools by a more multi-faith approach, and allowing parents the option of withdrawing their children from the religious instruction that schools are required to provide. The moral of the story of the American conflict between Darwinism and creationism is twofold. First, it alerts us to the fact that conflicts of ideas are rarely merely intellectual. If there were some essential incompatibility between religion and science, it would be felt in the same way in all times and in all places. But it is not. The Constitution and culture of the United States in the twentieth century provided a unique context within which ‘Scientific Creationism’ and ‘Intelligent Design’ could be manufactured, and from which they could subsequently be exported. 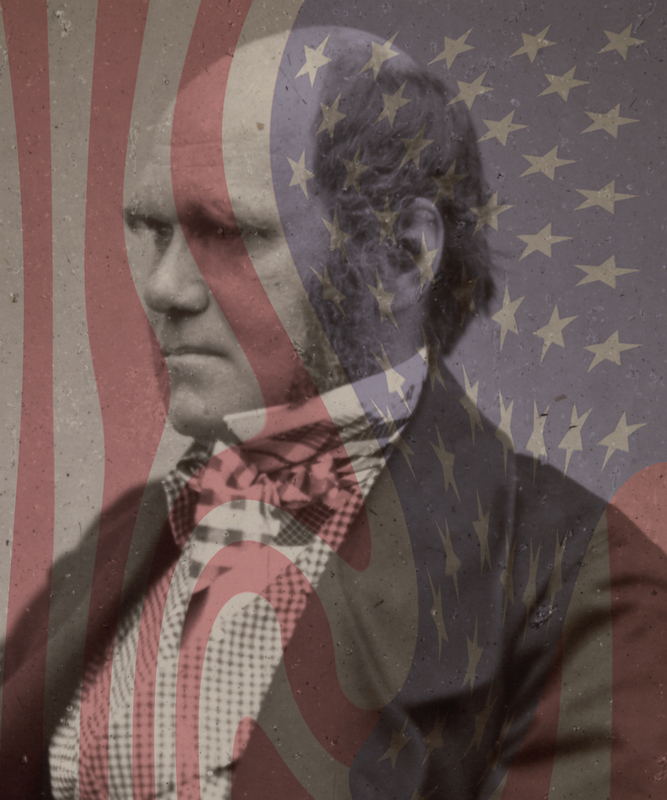 The second moral is that if the United States wants finally to come to terms with the scientific discoveries of the great Englishman whose anniversaries are being celebrated this year, the best thing they could do is follow the English example and introduce mandatory religious education into their schools. This article first appeared in the February 2009 issue of History Today, and is reproduced here with their kind permission. He is the author of Science and Religion: A Very Short Introduction (Oxford University Press, 2008). Peter J. Bowler, Monkey Trials and Gorilla Sermons: Evolution and Christianity from Darwin to Intelligent Design (Harvard University Press, 2007). John Hedley Brooke, ‘Darwin and Victorian Christianity’, in Jonathan Hodge and Gregory Radick (eds), The Cambridge Companion to Darwin(Cambridge University Press, 2003), pp. 192-213. Adrian Desmond, James Moore, and Janet Browne, Charles Darwin (Oxford University Press, 2007). Edward J. Larson, Summer for the Gods: The Scopes Trial and America’s Continuing Debate over Science and Religion (Basic Books, 1997). James Moore, The Post-Darwinian Controversies: A Study of the Protestant Struggle to Come to Terms with Darwin in Great Britain and America, 1870-1900(Cambridge University Press, 1979). Ronald L. Numbers, The Creationists: From Scientific Creationism to Intelligent Design, Expanded edition (Harvard University Press, 2006).